Drinking sufficient water is a necessity as it provides a lot of benefits. A lot of importance is given to drinking purified water, which is free of contaminants to avoid water borne diseases and stay healthy. However, many of us are unaware of the fact that drinking too much water can actually do more harm than good. The condition, which is known as hyponatremia, can be quite dangerous, especially for athletes. In this blog, we discuss in detail about the less known topic of hyponatremia and the ways to prevent it. Read on. Hyponatremia is a condition when the sodium in your blood is below normal. Sodium is necessary for a number of essential functions in your body such as the maintaining fluid balance, normal functioning of your nervous system and regulating your blood pressure. Also referred to as water intoxication, hyponatremia occurs as a result of excess water intake and lack of sodium replacement after a strenuous exercise session. Low levels of sodium may cause your cells to swell and lead to a number of health problems. The normal sodium level in your blood needs to be between 135 – 145 milliEquivalents/liter (mEq/L). If at any time, the sodium level falls below the limit mentioned above, you need to take precautions restore it. There may be a lot of reasons that may cause the level of sodium to dip in your body. Some of the reasons are mentioned below. Drinking excess water is one of the main reasons of hyponatremia. Too much water can dilute the sodium level in your blood. The situation mainly arises when you indulge in strenuous exercise or participate in a marathon. During these activities you sweat a lot and lose sodium from your body. Certain Medicines Another cause of hyponatremia is medications. Water pills, which are also known as diuretics, antidepressants or pain medications are some of the types of medicines that increases urination or also makes you sweat more. Too much urinating or sweating affects the sodium level in your body and lead to hyponatremia. Many of us are not aware of the fact that some of the hormones also have an effect in the sodium level in the body. Syndrome of inappropriate anti-diuretic hormone (SIADH) is a condition which causes water retention in your body. In addition, Addison’s disease may also affect your hormones and lead to water retention. If you suffer from hypothyroidism, you need to be extra careful with the sodium level in your body. Kidney or liver disease, congestive heart failure are some of the common health problems that can lower the sodium levels in your body. These diseases can alter the level of sodium in your body by affecting the amount of fluid in your body. In addition, diarrhea, vomiting can also deplete the level of sodium in your body. Who are at a Greater Risk? Older people who suffer from any of the medical conditions mentioned above are at a higher risk of suffering from hyponatremia. The reason is they take certain medications and as a result are more likely to get hyponatremia. 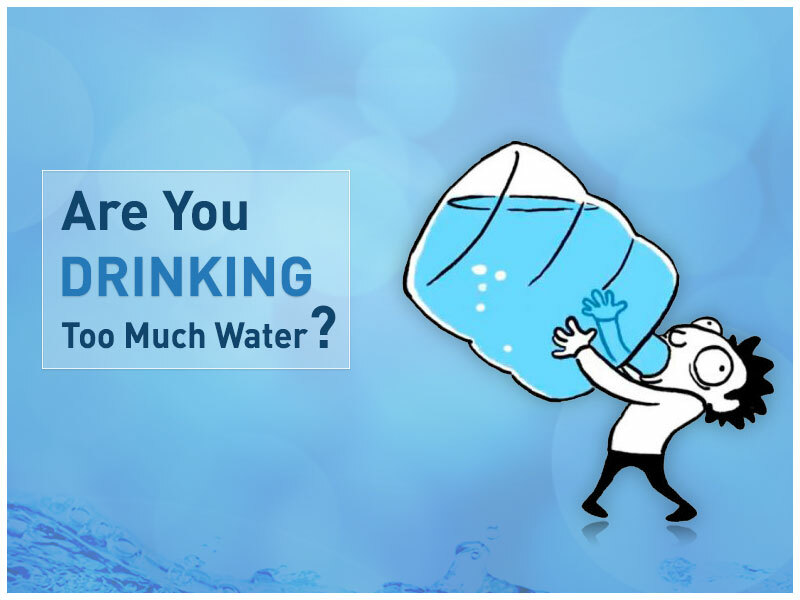 In addition, people suffering from kidney problems, irrespective of their age can also suffer from water intoxication. There are many ways to prevent hyponatremia and stay healthy. Pay attention to how much water you should drink in a day, especially if you indulge in high-intensity exercise routine. If you take some medications or diuretics, or suffer from any kidney or heart condition, make sure that you avoid drinking too much water. Check whether you suffer from any symptoms of hyponatremia. If you indulge in high intensity exercises, keep a tab on the amount of water you drink. There are two effective ways to find out how much water you need to drink: how thirsty you feel and colour of your urine. Consult a doctor to know whether you can drink sports beverages instead of plain water after working out. Sports drinks have electrolytes that help in keeping the sodium level in your body stable. Those were some of the complications that you may face in case of hyponatremia. Ensure that you drink sufficient clean and safe drinking water which is free of contaminants. Bring home a water purifier machine which remove contaminants and also retains the essential minerals to help you stay healthy. However, if you indulge in strenuous physical activities ensure that you keep a track of sodium level. For more information on our RO water purifiers, visit our website or call us at 1800-100 1000 to book a free demo.